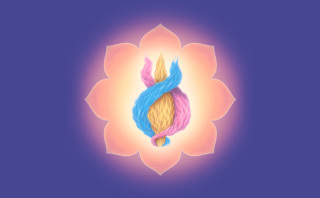 As the Representative of the Holy Spirit, the Maha Chohan embodies the white light of all the rays and teaches the sevenfold balance of the rays of the Seven Mighty Elohim, which in turn manifest upon the brow of the initiate as a crown of crystal light when that God-mastery of the seven rays is reached. The Maha Chohan is a very present help to all who call to him. Because of his pledge to all mankind “I am keeping the flame for you until you are able,” this truly Great Lord is called the Keeper of the Flame. He is the endower of Christ-mastery through the disciplines of right choice and right action—patterned after the eightfold path of Lord Gautama Buddha, which parallels the path taught and demonstrated by Jesus Christ. These disciplines are accomplished through the mastery of free will, of the desires and the desire body, and of the path of the Sacred Heart and the Ruby Ray as the initiate balances the threefold flame and attains equilibrium in the white light of the seven rays in his chakras. Engaging in service to Community—the world body of Lightbearers—by the engagement of one's forces, body, mind and soul, is the means to accomplish this goal. The Maha Chohan is the representative of the Holy Spirit. The one who holds this office in hierarchy represents the Holy Spirit of the Father-Mother God, of Alpha and Omega, to the evolutions of this planet and to the elemental kingdom. The retreat of the Maha Chohan, the Temple of Comfort, is located on the etheric plane with a focus in the physical at the island of Sri Lanka, where the flame of the Holy Spirit and the flame of Comfort are anchored. 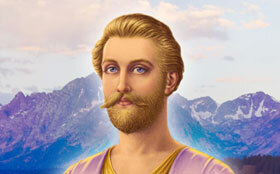 His twin flame is Pallas Athena, Goddess of Truth. Maha Chohan means “Great Lord,” and the Maha Chohan is the Great Lord of the seven chohans, the director of the seven chohans of the rays. Among the qualifications for this office in hierarchy is the attainment of adeptship on each of the seven rays, which merge into the pure white light of the Holy Spirit. With the seven chohans, he initiates our souls in preparation to receive the nine gifts of the Holy Spirit, spoken of in the Bible, 1 Corinthians 12:4-11. Since the Spirit of God infuses nature and man as the life-giving essence of the sacred fire, the representative of the Holy Spirit must be qualified to interpenetrate all substance through the diffusion of his consciousness and also to draw forth the flame that sustains life in man and nature through the focalization of his consciousness. The element that corresponds to the flame of the Holy Spirit is oxygen. Without that element, neither man nor elemental life could continue their service. 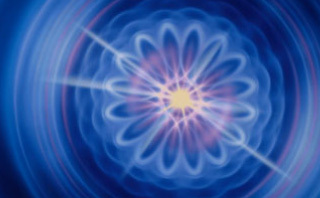 The consciousness of the Maha Chohan is, therefore, comparable to the Great Central Sun Magnet. He focuses the magnet upon the planet that draws to the earth the emanations from the sun that are required to sustain life. 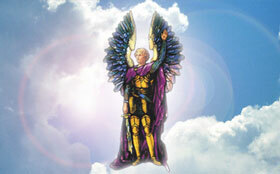 All power is given unto me in heaven and in earth. Go ye therefore, and teach all nations, baptizing them in the name of the Father, and of the Son, and of the Holy Ghost: Teaching them to observe all things whatsoever I have commanded you: and, lo, I AM with you alway, even unto the end of the world. Truly, the key to Christhood through loving obedience to Father and Son is fulfilled in the disciple's acceptance of Jesus' calling to be a mediator of the Word and Work of the Lord. Mirroring His consciousness that all might see His reflected image, the disciple is readying himself to receive the chakra initiations of the Holy Spirit given by the hand of the Maha Chohan through the Seven Chohans according to the degrees of the seven rays. These initiations are the measured steps and stages of the soul's preparation to receive and put on the graces of the nine gifts—first as a bridal veil, her pure conception of the quality, virtue, and vibration of each gift, and then as the wedding garment, the full awareness and infilling of the flame of the gift and its application in her ministrations to life. The seven chohans acquaint her with the powers, principalities and angelic hosts of the nine gifts of the Holy Spirit as she diligently applies herself to the putting on of the graces, even as each gift bestowed is beautified by her special qualification of the rays. While this training is taking place, the Maha Chohan strengthens the fibers of the spirit in his role as counselor, comforter and enlightener, laying firm foundations for the rainbow spheres to descend in concentric rings of Light, coalescing the aura of the causal body around the central sun of the heart chakra here below, as Above. Tenderly the Great Lord shows each bride of Christ how to fill in the rough places and make them plain for the mirroring of the Holy Spirit's healing presence to all life. Music: The radiation of the Maha Chohan is drawn through the musical composition Homing, by Arthur Salmon. The Maha Chohan was embodied as the blind poet Homer, whose epic poems, the Iliad and the Odyssey, include his twin flame, Pallas Athena, as a central figure. The Iliad tells the story of the last year of the Trojan War, while the Odyssey focuses on the return home of Odysseus—one of the heroes of the Trojan War. Historically, little is known about Homer, but most scholars believe he composed his poems in the eighth or ninth century BC. Even at that time, Homer attuned his consciousness with the comfort flame, and the radiance he sustained with the focus of his own heart flame was a great blessing to elemental life. In his final embodiment as a shepherd in India, the light that he quietly drew forth kept the flame for millions of lifestreams. He gained his mastery by consecrating his four lower bodies as a chalice for the flame of the Holy Spirit and his consciousness as a step-down transformer for the emanations of Sanat Kumara, the Ancient of Days. A complaining spirit has to do with the out-of-alignment state of your four lower bodies, which in turn has to do with an absence of your soul’s surrender to your reason for being. Love is the key. Whatever else you may develop or acquire in this or a thousand lifetimes, without love—without love in the manifestation of the power of the three-times-three and the nine gifts of the Holy Spirit—you will not fulfill your mission. Stretch the heart muscle! Expand the petals of the heart chakra! Breathe upon the fire of the threefold flame and breathe upon it again and know that your breathing exercises are for more than meets the eye. More teachings from the Maha Chohan on the spiritual path. Understanding Yourself reaches beyond the boundaries of the outer personality into the infinite world of the soul. Offers unique perspectives into how to master the components of being-the ego, karma, and the Self beyond the self.